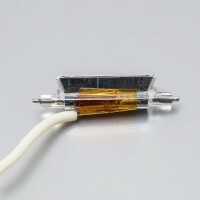 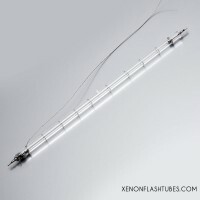 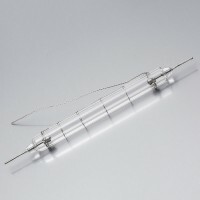 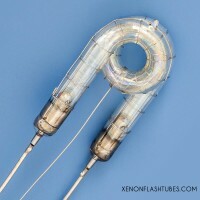 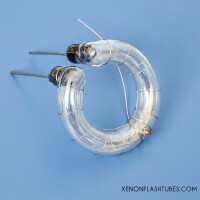 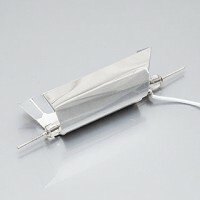 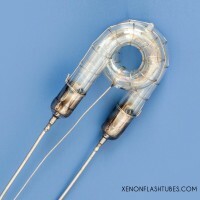 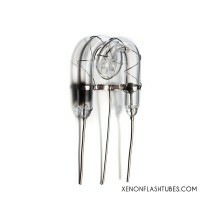 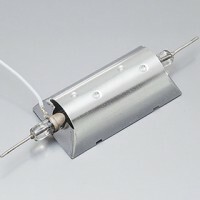 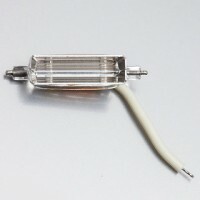 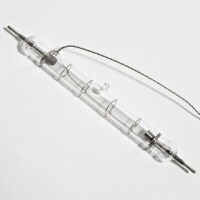 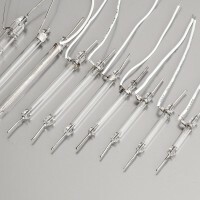 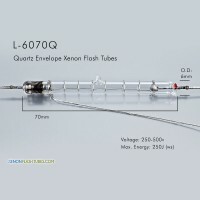 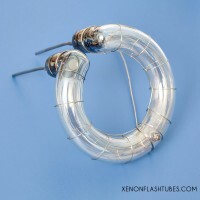 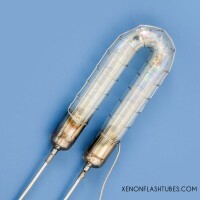 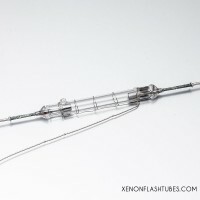 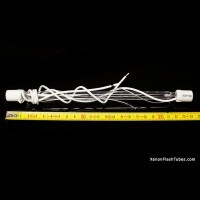 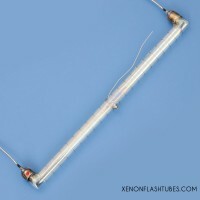 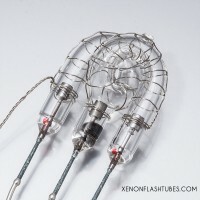 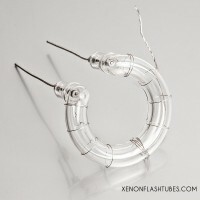 Our wide selection of Xenon flash tube lamps, including various shapes and applications. 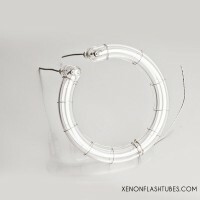 Round circular Xenon flash lamp for Photography studio flash head. 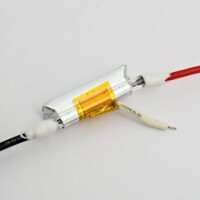 Compatible with 110v/220v. 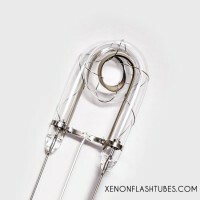 Xenon flash lamp for Photography studio flash head. 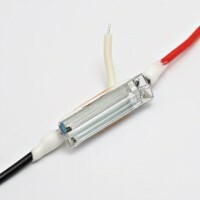 Compatible with 110v/220v. 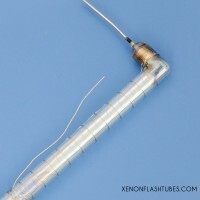 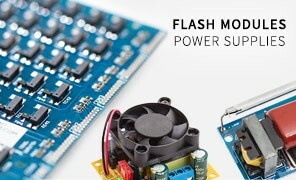 Special Dual arc design allows firing two consecutive flashes by the same device. 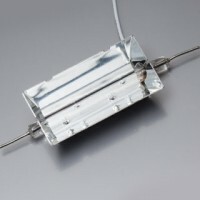 Alternatively, when the whole lamp is used, the benefit is having 2 shorter arcs firing in parallel, offering lower impedance, brighter and shorter flash durations. 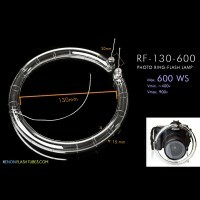 Ring Flash Lamp, for Studio lighting systems, Camera RingFlash, industrial camera setups. 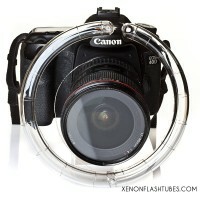 Allows a large diameter 130mm lens to be centered in the lamp for shadow-less imaging. 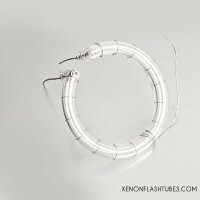 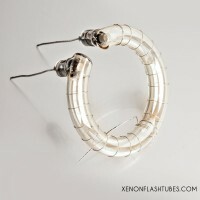 Spiral Xenon flash lamp for Photography studio flash head. 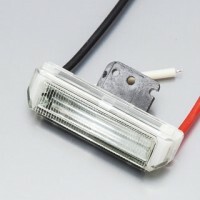 Compatible with 110v/220v. 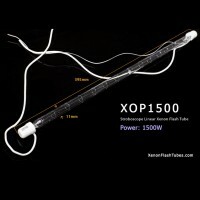 Popular 1500W Flash Lamp for Stage flicker strobe Light. 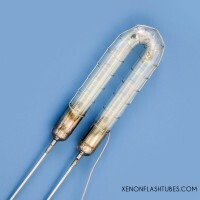 Compatible with both 110v and 220v Strobe devices. 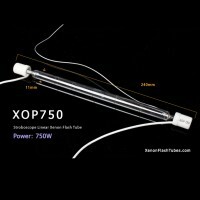 Popular 750W Flash Lamp for Stage flicker strobe Light. 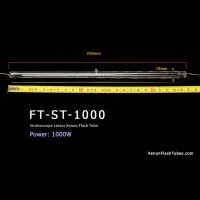 300W, Linear Flash Lamp for Stage stroboscopic Light, high-repetition signal lighting. 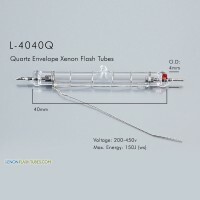 For Photo-Flash, Stroboscopic stage flicker light, car lighting, warning and emergency flashing beacon- xenon flash tube. 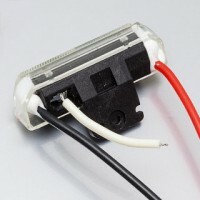 Compatible with 110v/220v. 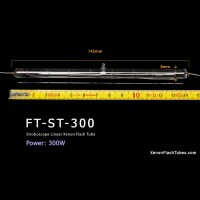 Miniature Flashtube-Reflector combo, ideal for small devices. 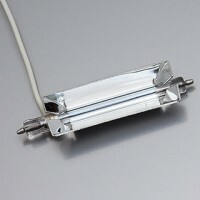 Light output is maximized by the reflective parabolic reflector. 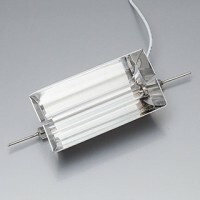 A complete FTA with flashtube, reflector, lens, bracket, wiring - ready to be incorporated in your product design. 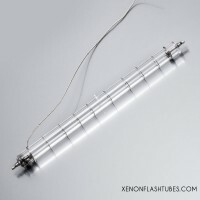 For For Spectrometer (photospectrometer), Stroboscopic stage flicker light, car lighting, warning and emergency flashing beacon- xenon flash tube. 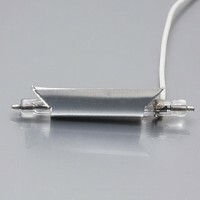 Compatible with 110v/220v. 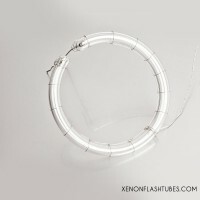 For Stroboscopic stage flicker light, car lighting, warning and emergency flashing beacon- xenon flash tube. 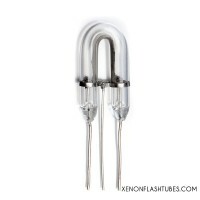 Compatible with 110v/220v.